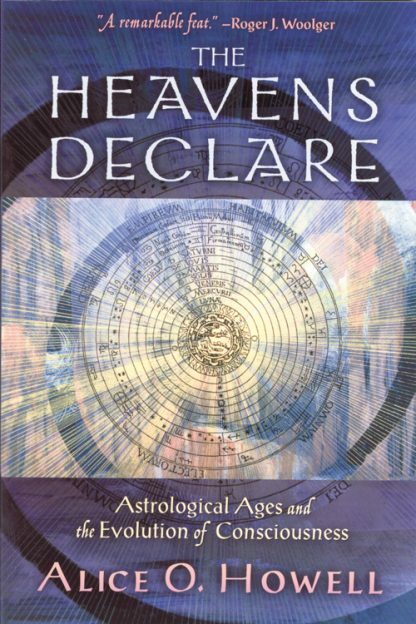 In The Heavens Declare, author and astrologer Alice O. Howell proclaims, �We are not confronting the end of the world, but the end of the Age of Pisces!� Integrating two major disciplines of astrology and Jungian depth psychology, Howell�s latest title reveals the fascinating connection between astrology and the evolution of the Collective Unconscious, C.G. Jung�s theory that the unconscious mind is shared by all humans and contains archetypes and universal mental predispositions not grounded in physical experience. Written in the form of thought-provoking letters to her analyst friend, Howell�s natural wit and charm compliment the text. Exploring the synchronicity between myth, history, religion, and the evolution of humankind over the past five astrological ages�spanning some 12,000 years�she presents the current tasks and the potential traps humanity now faces. Howell also provides her audience with a deeper understanding and method of healing the individual psyche. She illustrates that an astrologer serves as a type of psychologist who analyzes the position of the stars and planets within an individual�s astrological chart for the purpose of understanding his or her psychological makeup, the personal challenges he or she may face, and the possible solutions to overcoming those obstacles.